Aviation Law In Brazil is regulated by the Brazilian Constitution, the 1999 Montreal Convention, the Brazilian Aviation Code (Law 7,565/86 as amended by Law 9,614/98), the Secretariat of Civil Aviation Law (Law 12,462 of 4 August 2011) and the Civil Aviation Agency Law (Law 11,182/2005). The Civil Aviation Agency (ANAC), which was established in 2006, is the primary aviation regulatory body in Brazil. It oversees the regulation and the safety oversight of civil aviation. ANAC operates through a five-member board of directors, one of them being the president of the agency (the others are the aircraft operations director, airworthiness director, economic regulation director and airport infrastructure director). The directors are appointed by the president of Brazil and approved by the Senate. Their term of office is up to five years. ANAC reports to the Ministry of Civil Aviation (SAC), and is headquartered in Brasília and has offices in Rio de Janeiro, São Paulo, Porto Alegre and Recife. and the Cape Town Convention of 2001. Brazil has executed and ratified bilateral agreements with Argentina, Austria, Belgium, Bolivia, Cabo Verde, Canada, Chile, China, Colombia, Cuba, the Democratic Republic of Congo, Denmark, France, Germany, Guyana, Hong Kong, Hungary, Iraq, Italy, Japan, Jordan, Lebanon, Macao, Malaysia, Mexico, Morocco, Netherlands, New Zealand, Nigeria, Norway, Paraguay, Peru, Portugal, Singapore, South Africa, South Korea, Spain, Suriname, Sweden, Thailand, Trinidad and Tobago, Turkey, Uruguay, the United Kingdom, the United States, USSR and Venezuela. Brazil has executed open skies agreements with the United States, Europe, Canada, Mexico, Uruguay, the Dominican Republic, Chile, Guatemala, Paraguay, Panama, Colombia, Honduras, Bahrein, Qatar, Chile, Singapore, South Korea, Costa Rica, United Arab Emirates, Ethiopia, Ghana, Hong Kong, Ireland, Jamaica, Oman, Kenya and Zimbabwe. Despite Brazil being a party to the Montreal Convention, Brazilian courts do not enforce it as a practical matter. It occurs that the Brazilian Courts would rather apply the Consumer Defense Code (CDC) to international transportation liability cases. The CDC allows for a court to ‘shift the burden of proof’ from the plaintiff to the defendant as long as the passenger‘s allegations are ‘likely to be true’. Virtually any passenger incident that is brought before a court results in some sort of award against the carrier. Besides, flight delay or cancellation and baggage related issues, denied boarding due to overbooking, fare restrictions, ‘bad treatment’, changes or restrictions in mileage programme rules, reimbursement related issues and so on often result in damages being awarded on behalf of the passenger. The CDC imposes a strict liability standard on carriers. Mechanical and weather-related problems, as well as any other issues partly or wholly beyond the carrier’s control, are almost never considered as mitigating airline liability. Courts consider such incidents as an inherited risk of the air transportation business. Brazilian Courts have not, for example, considered the Air Traffic Controller’s strike, which caused inconveniences to passengers, to provide grounds for the excusing or deflection of carrier liability. Courts also often grant passengers full reimbursement of itinerary or travel date change fees or cancellation, reimbursement or no-show fees under the argument either that such charges are unreasonable or that the passenger had not been previously ‘informed’ about them, notwithstanding information being generally widely available on airlines’ websites. transport mileage programme passengers on a given flight and date despite unavailability of mileage seats in such flight. Besides awarding passengers actual or consequential damages (danos materiais), Brazilian courts virtually always grant plaintiffs the so-called ‘moral’, or punitive or exemplary damages (danos morais). In terms of the limitations on damages and exclusive remedy provisions of the Warsaw and Montreal conventions, courts sometimes respect the limits in regards to actual or consequential damages, but routinely violate the exclusivity provisions by awarding punitive damages. Needless to say that this implies important disadvantages to airlines defending passenger claims. All taxes and tax obligations are imposed by national law. All international agreements and treaties must be incorporated into domestic law before they take effect. Foreign companies with branches in Brazil are subject to the same tax treatment applicable to Brazilian resident companies. Brazilian resident companies are subject to corporate income tax (IRPJ) on their worldwide income. Social contribution on net profits (CSLL) is also levied on corporate profits. The basic rate of IRPJ is 15 per cent, increased by a surtax of 10 per cent on annual taxable profits that exceed 240,000 reais. CSLL is levied at a 9 per cent rate on the same tax basis. Nevertheless, based on the principle of reciprocal exemption on taxation, profits domestically derived by foreign airline companies are exempted from IRPJ if the countries where such companies reside also exempt Brazilian airline companies from local taxation. 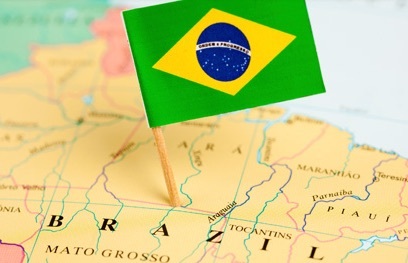 It should be noted that the Brazilian tax authorities has issued tax deficiency notices against international airline companies arguing that said international treaties do not apply for CSLL purposes, ie, such airlines should be required to pay CSLL on their Brazilian source income. Withholding Tax (WTH) is also imposed on certain payments made from Brazilian residents to other residents and from residents to non-residents. WTH is levied at a rate of 15 per cent on finance leasing of aircrafts and on remittances of air passenger ticket revenues. It is levied on the interest portion of lease payments at a zero per cent rate on finance leasing of aircraft entered into up to 31 December 2011, by companies that render services of public air transportation of cargo and passengers on a regular basis. Rental payments made by Brazilian lessees are subject to WTH at a zero per cent rate, unless the lessor is located in a tax haven, when the rate is 25 per cent. Remittances of air passenger ticket revenues are exempted from WTH if Brazilian airline companies are exempted of a similar tax on the basis of reciprocal exemption. As a general rule, foreign airline companies (even those exempted from taxation) are required to fulfill and submit certain tax returns and other auxiliary obligations. The same occurs with filings imposed by customs legislation. The Brazilian IRS/Treasury are entitled to formally let off foreign branches from such obligations. In order to start up and operate a passenger or cargo airline in Brazil, a foreign airline is required to obtain an authorisation to set up the foreign branch of the airline in Brazil and an authorisation to operate. and periodically publishing in the Brazilian Official Gazette of the foreign company’s financial statements and corporate resolutions. applied before ANAC for the Certificate of Homologation of Air Transportation Company in accordance with the applicable Brazilian Regulations on Aeronautic Homologation. ANAC issues in the frame of commercial as transport both the decree authorising the setting up of the Brazil branch and the authorisation to operate in Brazil. Local airlines offering cabotage services are limited to a 20 per cent foreign voting capital. Any aircraft operating in Brazil is required to be covered by the civil liability insurance. The insurance coverage required for commercial transportation services shall include permanent injury or death of passengers and crew members, as well as of persons and damages to assets in the soil; and aircraft collision. Recently, in a first round of privatisation the airports of Guarulhos (GRU), Brasilia (BSB) and Viracopos (VCP) were privatised via long-term concessions of, respectively, 20, 25 and 30 years. Under the concession rules, Infraero has kept a 49 per cent corporate share of these three major airports. 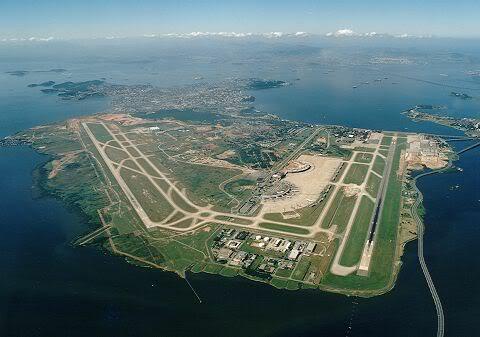 On the second round, the major privatised airports were the airports of Galeão (GIG) and Confins (CNF), with concessions of, respectively, 25 and 30 years. Likewise, Infraero maintained a 49 per cent shareholding participation in the airports. The airport operators, which have 25 per cent of the shareholding, were required to have prior experience operating airports with over 35 million passengers per year. Airport operators collect landing fees, boarding fees, aircraft parking fees, cargo storage fees and cargo handling fees. Other sources of income are the rent for the use of airport space, such as check-in, aircraft maintenance, cargo loading and unloading, telecommunication and meteorological services, and ticket sales stores. Airport operators designate ground handlers, aircraft fuel providers and catering companies in accordance with ANAC regulations. ANAC Resolution 116, enacted in October 2009 (and in force since December 2009) regulates supplemental air transportation services that include those provided by ground handlers, catering companies, fuel providers or by the airport operator. Under this Resolution, the airport operator is responsible for authorising companies to act as airport service providers upon the meeting of certain safety, operational and expertise requirements. The Resolution requires that airport operators keep up-to-date data on the service providers (eg, name, address, tax payer number, description of services, etc). It also provides for the airport operators’ responsibility to issue authorisation for the entrance of employees into security restricted areas, bonded areas, and other controlled areas. Code-sharing and marketing arrangements are permitted in Brazil but they require prior authorisation by ANAC. The Brazilian Antitrust Authority (CADE) can review code-sharing agreements. Frequent flyer programs are not regulated in Brazil.